Red Bird From The Popular Game Angry Birds Wearing His Santa Hat!!! 5' Tall, 3 1/2' Wide, and 5 1/2' Deep! Look out pigs! 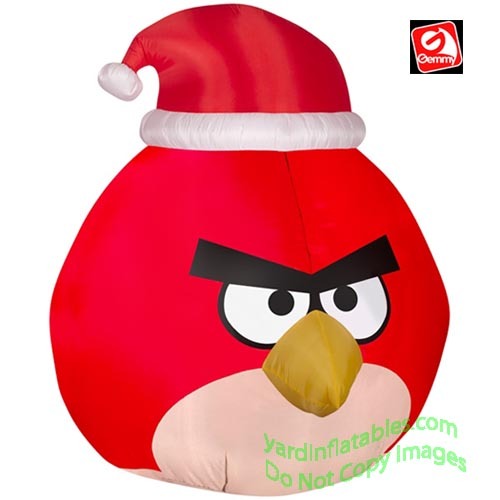 This angry bird is wearing a Santa hat, but it doesn't look like he plans on taking a holiday break! This Gemmy Air Blown Inflatable Christmas Decoration comes with a built in fan, internal lights to create a glowing night-time display, yard stakes, stand and tethers.